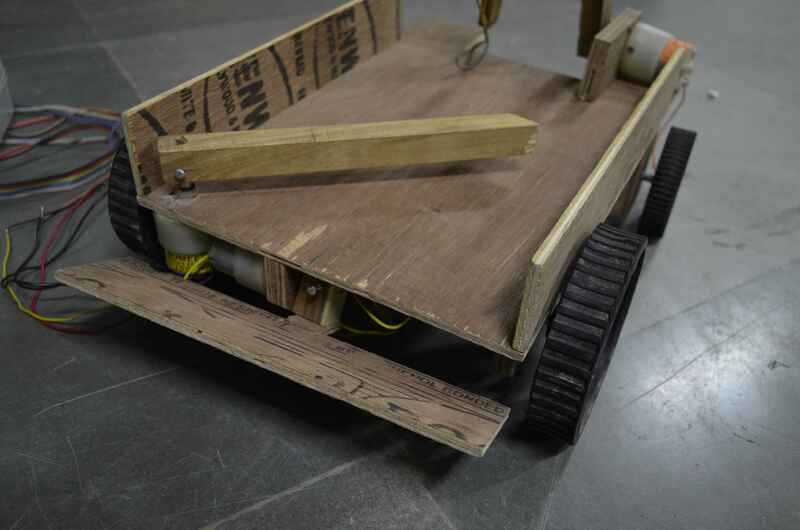 Build a manually controlled robot capable of traversing over irregular terrains with deep gaps (crevasses) in between, by bridging them and saving victims stranded at the accident site. For more details on the event refer to our website. In this DIY we will learn how to traverse on the terrains and make a picking mechanism along with dropping the victims in the safe zone. For the locomotion, different drives can be used but the most common drive mechanism is a Differential Drive. 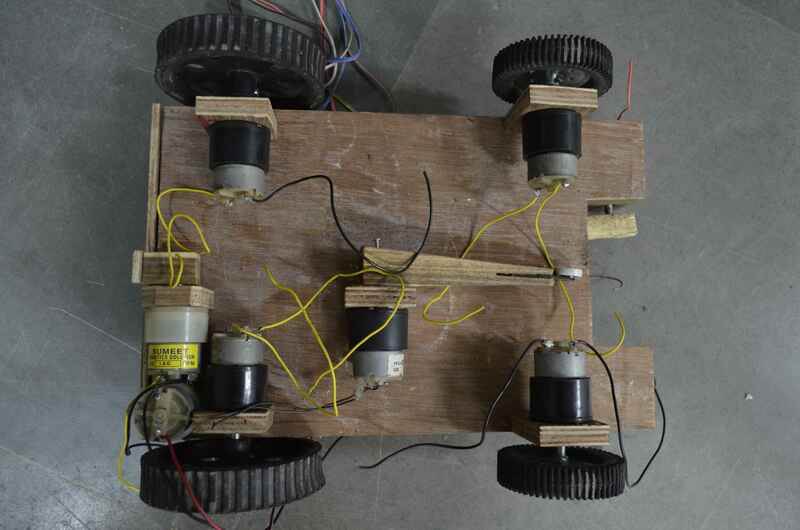 Its is the basic design of 4 DC Motors each connected to a wheel. However, it will be better. if you can use other better mechanisms for locomotion like Rocker Bogie mechanism, conveyor belts, and even springs for more stability while traversing the different terrains. 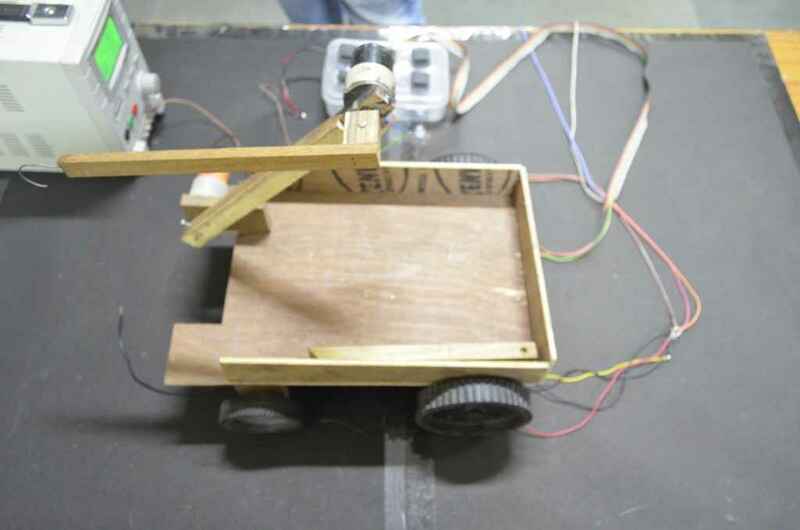 Robotic Arm & Hook Mechanism: The victims are kept on the base of the crevasses .In order to lift the victims, the robot should have an extension mechanism or a flexible arm to accomplish the required task. Think about using a hook to lift the bridging parts (Joints) and victims. 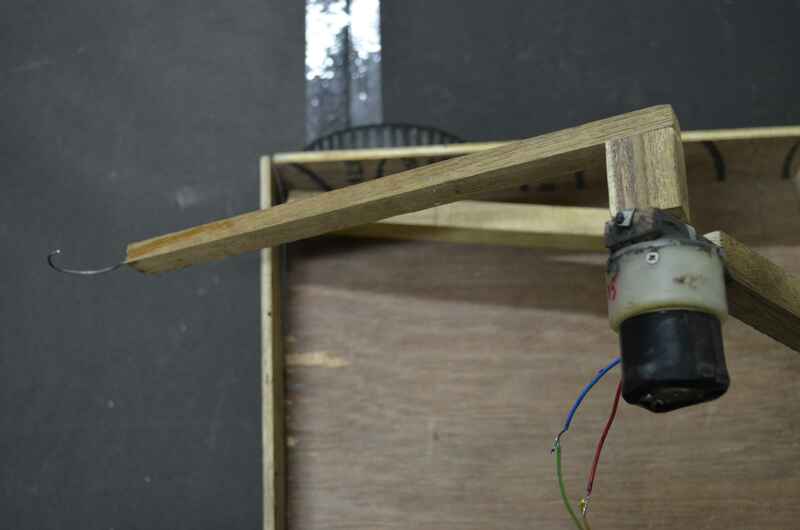 A mechanical arm is robotic, with similar functions to a human arm. 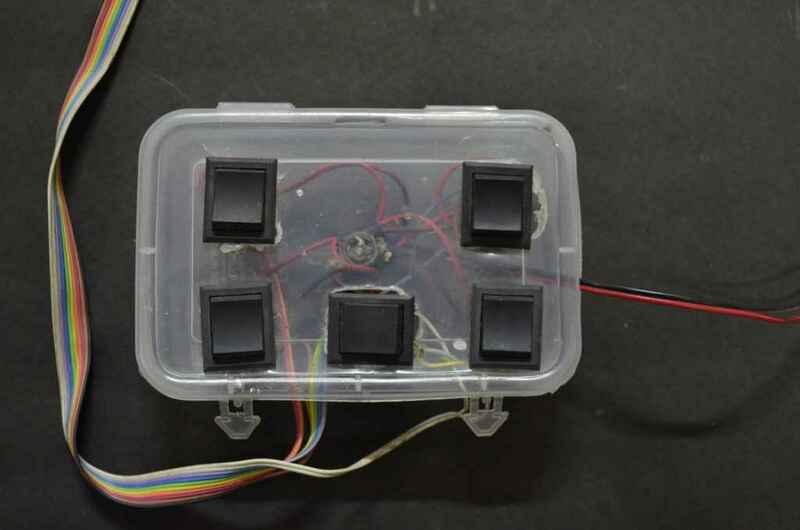 The arms are controlled by DC motors.The pictures below show a pretty good description of the working of this mechanism. We have used two 10 rpm motors in the robotic arm. The total length of the arm is around 40 cms, long enough to pick up the victims. A hook is attached at the end of the robotic arm to lift the Joints and the victims. For storing the victims, a large space has been provided on the chassis. Once the robot is in safe zone, you can drop the victims in the safe zone at once. 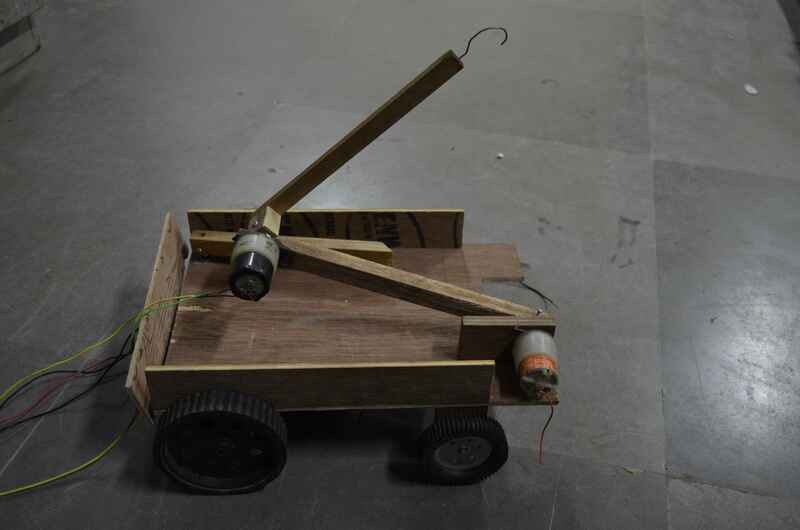 For this we have used a mechanism which uses two motors. 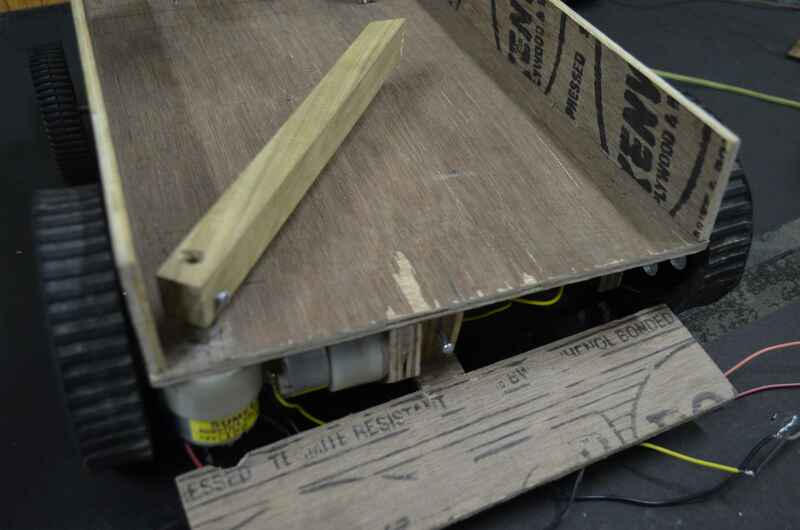 One motor (60 rpm) opens a shutter at the back end of the chassis, while the other motor (30/60 rpm) controls a hand that pushes out the victims from the chassis onto the safe zone.